I really don’t know why almost all my friends make me feel that I am a ‘Love Guru’ or some kind of an expert when it comes to relationships. Or is it just me who loves giving unsolicited advice? I’ve gone through 3 relationships. It’s actually 4 but screw the first one, it was like so whatever. The first one (which was actually the 2nd one) happened during my high school days. I was then a junior and my ex was a senior. He just happened to be the SCO President and the captain ball of the basketball team and I happened to be the captain ball of the volleyball team. Then, I broke up with him when I turned college. 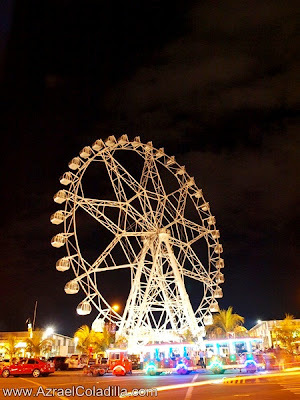 Ganda ko eh! Okay, nuff said. Second, was someone I met during my PE class. 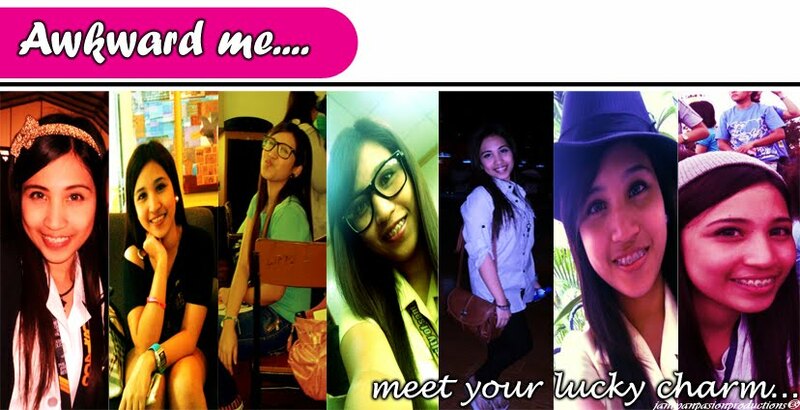 He’s a UST Civil Engineering student. He was my karma. Need I to say more? Third and my current boyfriend is someone from our village. He’s a family friend and schoolmate way back high school and elementary. We’ve been together for more than a year. I thought and I guess, others thought also that these relationships made me more mature. I guess not. I thought I know everything, how to handle things, emotions. I realize I am nowhere near maturity. Yes, I still act like a child dependent to his dad and I tend to be a hopeless romantic at times. I don’t know how I will learn these things; to be emotionally-independent, maturity, and no dramas. You could tell that I’m really good in making small issues into big things that will cause a fight that will last for days or almost a week. I admit that. I tried to avoid doing it but there’s something in me I didn’t know what it is. Expectations, maybe. But seriously, I am a drama-queen-wannabe. Well, unintentionally. I really don’t know what I want. I really don’t know what I am looking for. But one thing’s for sure, I REALLY SHOULD GET A LIFE. This is probably the most pathetic tumblr post I have ever seen in my life. I know it’s a bit late but I just saw this on facebook. I was not able to react because I just died laughing at this post. HAHA! 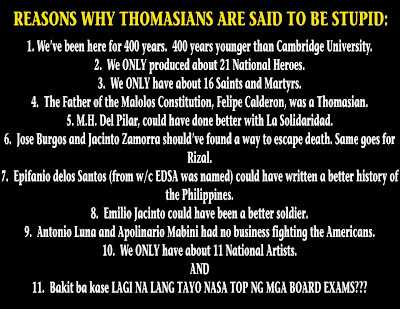 But anyway, first and foremost, UST is not a Catholic Church. It was called UNIVERSITY of Santo Tomas because simply it is an educational institution. Like duh! Bakit di ka pumasok ng UST para malaman mo ang difference? 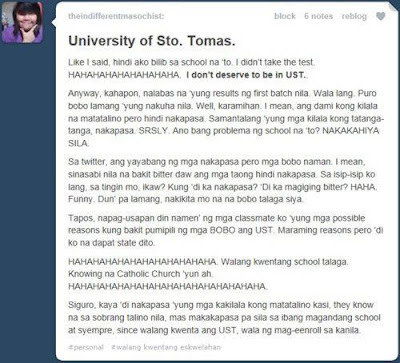 And oh, you really don’t deserve to be in UST, because WE don’t deserve you. Hindi ka namin kailangang mapabilib kasi wala ka kung ikukumpara sa madaming taong bilib sa kakayahan ng mga Tomasino. I meant, who are you? See? Are we that stupid? Sorry kung laging nasa top ng mga board exams ang UST! Haha. This made me laugh so hard. Talk about cyber-bullying. Another thing, sa ganda at laki na lang ng campus namin at sa bongga ng mga fireworks namin, tanga lang siguro ang hindi gugustuhing mag-enroll sa UST. PS: I don’t proofread, so spare me. I’m not making this as an issue again. I just want to speak my mind. I don’t want any cyber wars. This is my blog. The couples that are meant to be are the ones who go through everything that is designed to tear them apart and come out even stronger than they were before. They don't give up on each other or their relationship when they go through hard times, even if it's the easy thing to do. Do you know why I love the month of January? Indeed, it is my birth month. Few more days and I’ll be a teen no more. Yes, I’m turning 20 this 12th of January. It may sound so good though but I feel otherwise. Maybe because I don’t like the thought of growing old and that I have to be more independent. And I admit, I somehow fear to face what the world stores for me. Few more months, I’ll be graduating from college, I’ll be looking for a job and create my own destiny. Can I handle that? Nuff said. Anyway, I don’t really hate the fact that I’m getting older, especially when I think of birthdays and celebrations. Hey, it’s my birthday and I’m the “Star of the Day”. Lol. But what I love most about birthdays is that people I haven’t talked for some times will greet me, will talk to me. It’s like meeting a long lost friend and then you’ll chat and reminisce. Good old days aye? So birthdays will not be completed without birthday wish lists. It’s actually my first time to make one because I don’t really take accounts to gifts during my birthdays. So, I’ll make this list just to because I want to do so and not because it will make my birthday happier. 4. 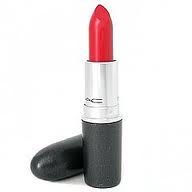 A red lipstick. Like super red. Hihi. I guess that would be all. Of course, prayers, friendship and love would be the best gift ever but please, I beg you guys, help me to have the first one. Hihi. If you are willing to help me, follow me on twitter: http://twitter.com/callmecharm. Ciao! It is difficult to fight against your insecurities. Even though you know you are far better, sometimes you just can't help it.